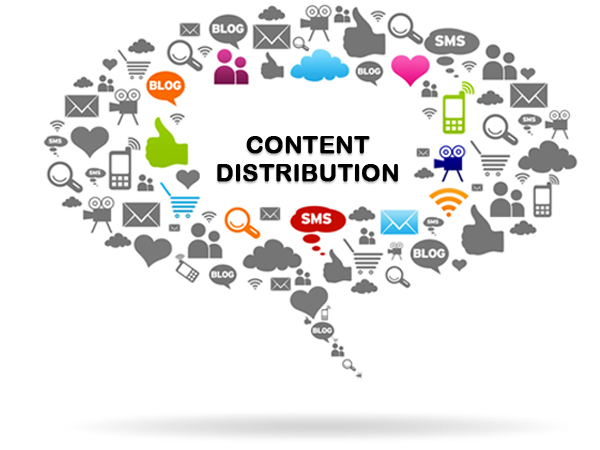 Today the speed of content creation and delivery has become vital for survival in the content distribution world. The content delivery ecosystem has evolved over a period of time. New delivery systems such as broadcast networks; internet (across sites like www.moviemint.com, which specialises in delivering the latest celebrity and film news to readers, www.cinebuffet.com, which is purely an online celebrity gallery, and www.deathoftv.com, a video blog site); mobile devices (including Samsung and Nokia); IPTV and DTH (Direct-to-home) which have been running successfully in 15 countries; PayTV; VOD; Road Borne; Air Borne; Pay-per-view TV, and other such mediums have become the order of the day. Delivery methods include broadcast, uni-cast (e.g. 3G streaming and 4G streaming services), multicast and peer-to-peer. In short content is made available on a wide array of platforms. Vega Entertainment strives to provide the end-user with a standardized, consistent and seamless experience. Content delivery by its very nature includes a number of restrictions and rules regarding rights. Vega worked to converge those opposing forces and created a content delivery system which proliferated technical options and specifications, leading to a clear business model which is supported by accepted technologies. The clear and defined utilization of interoperability and cross-platform solutions of distribution enabled Vega to meet the needs of both content providers and end users. Vega Entertainment provides end-to-end mobile entertainment solutions in all four South Indian languages for GSM operators. The company has collaborated with several local and international GSM operators in order to provide state-of-the-art value added services specializing in mobile entertainment and interactive services. At Vega the primary objective is to develop unique entertainment and data applications as well as customize existing entertainment applications to suit evolving market needs. Currently Vega Entertainment operates voice and data services such as voice-IVR platforms, video-IVR platforms, and WAP based services by using a patented centralized content management system. The platforms and applications were developed in-house by a team of experienced content and technical professionals. Vega Entertainment Pvt. Ltd. is the most preferred Content Provider for Value Added Service (VAS) for all Indian Telecom companies including India’s biggest Telecom service provider - Airtel. Through this IVR content it controls a major share of Airtel subscriber market. For content delivery we use the short code 50303. It is undoubtedly the most popular short code in the country. We pick the best from the Vega Movies and Music catalogs and relay it to the customers via Airtel Idea. We also provide live updates on News, Cinema, Events and exclusive information about Actors from the South thanks to our large PR team. Vega Entertainment deals with the top Telecom operators in India. With our wide range of Movie content developed and managed, the WAP content delivery platform for the operator. Our core WAP Development team ensures successful discovery of content and makes sure that the users are able to download the content with ease. The team manages the content life cycle through the WAP platform by providing a wide variety of new and rich media content regularly. Vega is an expert in creating new revenue channels by supporting successful delivery of content through WAP portal. Customer satisfaction is therefore increased and results in a loyal customer base. In short, Vega helps operators provide several types of attractive and lucrative services to their subscribers. Vega deals in with On deck and Off deck WAP portals for all the Telecom Operators. m.movienmasti.com is the Vega’s own huge portal which is a handset-based internet WAP site designed for mobile users.The browsing is chargeable at 30p/10kb for GSM/RTL/3G/4G subscribers, content download charges as applicable. Vega Entertainment being the pioneer in acquiring Music albums and their rights we make sure that these music albums and songs are properly uploaded and distributed through our various Ring Back Tone Platforms. We have a strong distribution team who works on CRBT implementation and integration with various platforms who works with Telecom networks and popularising the service with subscriber base and ensure that we get maximum promotions. We have uploaded more than 2500 plus tracks and Clips to all the Telecom Operators in India. Our core team concentrates on conceptualised Ring Back Tones too and they try to make sure that they reach the demands of Innovative Music lovers. This way we strive our best to be the best Content Providers for our telecom operators as there is no loss of Active users for the respective service.